Samoolam is a self reliant social enterprise founded in 2009 in Gaya district of Bihar, India with a core philosophy to enable employable skills in women at grassroots to ‘give back to roots’ to the vulnerable communities in rural India. With an aim to generate livelihood for rural women, Samoolam has trained the women in the crochet technique. It has bore its fruits in the form of beautiful handcrafted crocheted fashion accessories, stationery collection & home decor products. The collection is evolving on the regular basis. This effort has lead to empowering women both socially & economically. The organisation that started with just three women has now grown to more than a hundred women since its origin. In a span of 7 years, Samoolam has equipped these women from informal sector to be ‘Masters of Crochet’. Women are no more just the care-takers of the family, they are now also engaged in nurturing fresh talent as skilled artisans budding entrepreneurs. This journey is equipping the women with a sense of self worth and empowerment. Usha Varia (Prajapati) is a social entrepreneur whose passion is building sustainable social enterprise in rural India. In last 15 years of professional experience, project planning, implementation, design management, design education, capacity building and enabling employable skills at a grassroots level are the specialised tools she uses to give back to vulnerable communities. She is the founding director of ‘Samoolam’ a Bihar based social enterprise initiative creating employment for women in the informal workforce through innovative crafts and design. 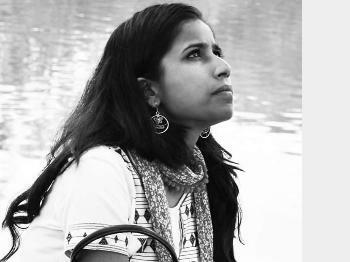 She graduated in textile design from the National Institute of Design (NID), Ahmedabad and is a recipient of the Ford Foundation International Fellowship. She holds a Masters Degree in International Development & Social Change from Clark University, MA, USA. 1. At Samoolam, we make sure everyone can get our products delivered to their doorstep. We ship and deliver to all pincodes pan-India, and we partner only with reputed national couriers. All products have free shipping and we do not add additional shipping cost to lower value products. The prices displayed are inclusive of the shipping fees. 2. We aim to ship all orders within 24-48hrs of successful order receipt. Because each product is a unique creation of the artisan, there might be a slight variation in the shipping time. For every order shipment delayed beyond 48hrs, you are guaranteed a goodie with your order. 3. All orders received before 3pm (Monday to Saturday) will be shipped on the same day itself (subject to fulfillment). Orders post 3pm (Monday and Saturday) will be shipped on the next business day. Business days exclude any National or Regional holiday and Sundays.